Bright and Breezy Crafts: My first Aurora wings image! 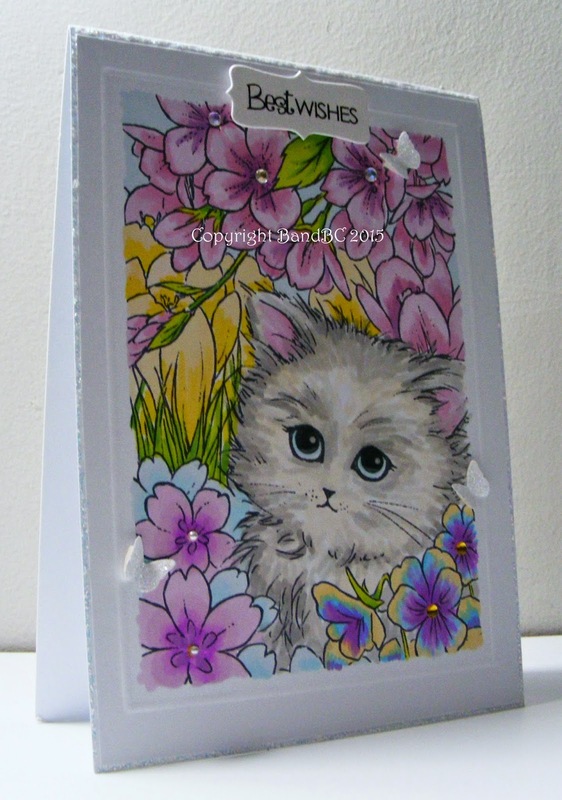 I was thrilled, this week, to get this adorable image -"cat in flowers"
for our 'glitter n gems' challenge, over at Glitter n Sparkle. and I also hand glittered those teeny Martha Stewart punched butterflies! I really enjoyed colouring this image, which i admit, did take quite a long time! I used my promarkers in all my fave colours ...blues and purples to pinks and lilacs. fit into the centre of the flowers. A dry embossed line and a craftwork cards sentiment finished this card. This is gorgeous! Love your coloring of this piece. Gorgeous sparkle too. Thanks for joining us over at the Sparkle N Sprinkle Challenge. Great card and fabulous coloring of this super sweet image. 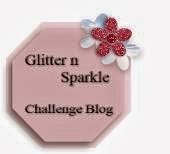 So glad you shared it with us for the Sparkle N Sprinkle Creative Challenge. This is just beautiful!! I am so glad to be on Pattie's DT with you! I can't wait see more of your amazing creations! I'm also your newest follower! What a beautiful card Vic. That image is amazing and it's colored to perfection! 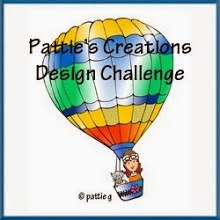 Thanks so much for participating in our Party Time Tuesday Anything Goes Challenge.I am now your newest follower and would love it if you visited my Make Time To Craft Blog and became a follower too. This is really adorable Vicky. Your colouring is awesome. I am looking forward to working with you on PC. I am your new follower. Gorgeous card. I love the image. 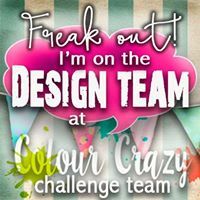 Thanks for joining in our Anything Goes" challenge at Crafty Calendar this month.